This section is designed to showcase pedestal bowls that I've turned. 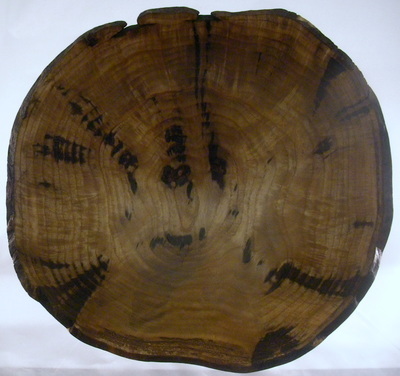 Some are still in my inventory, some are not. 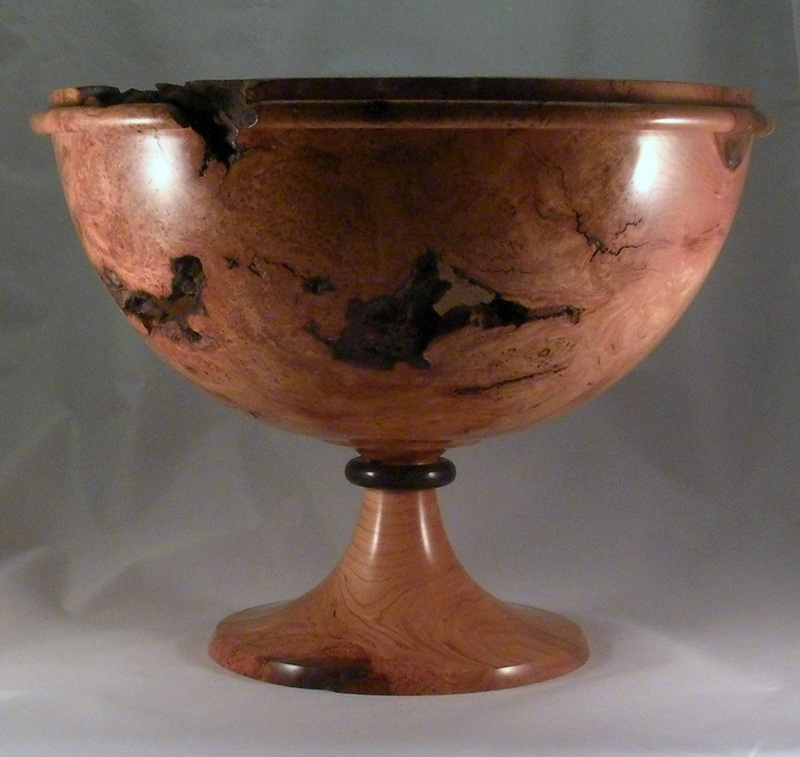 Because of the constant sales at shows, keeping up with inventory on my site is extremely time consuming, and almost impossible to keep up to date. 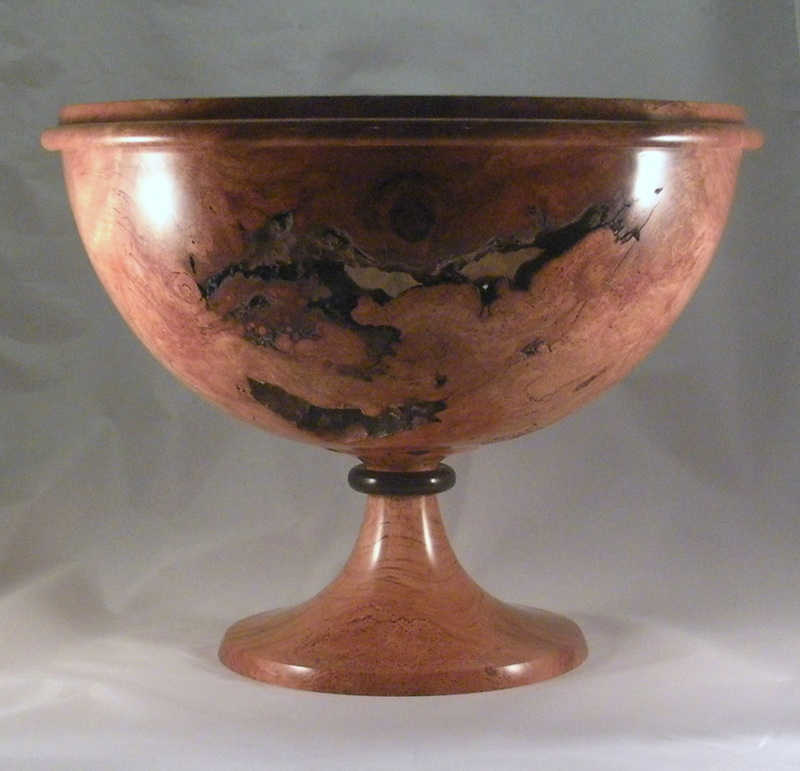 Therefore, I have instead chosen to simply have a gallery of pedestal bowls. 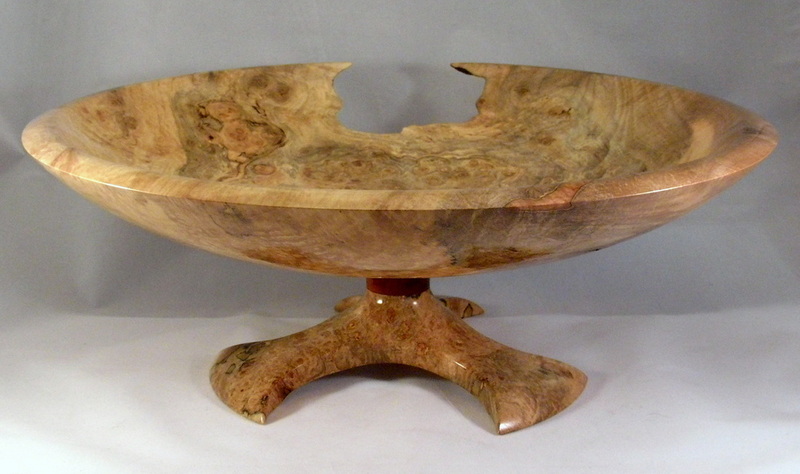 If you like something you see, please feel free to inquire as whether it is still available. 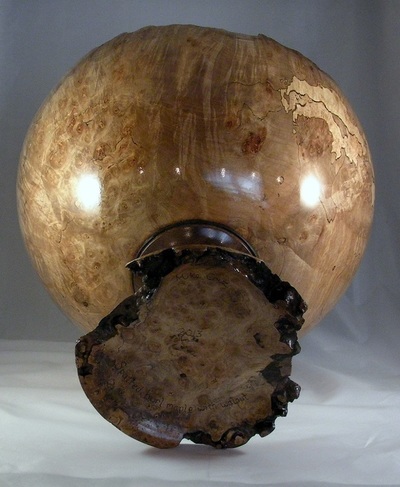 If it isn't, it might be possible for me to design and create something similar to it. Thanks for looking! Spalted Maple Burl Pedestal Bowl with Walnut Accent/Inlay and Leather Trim measuring 16" wide x 13" tall. 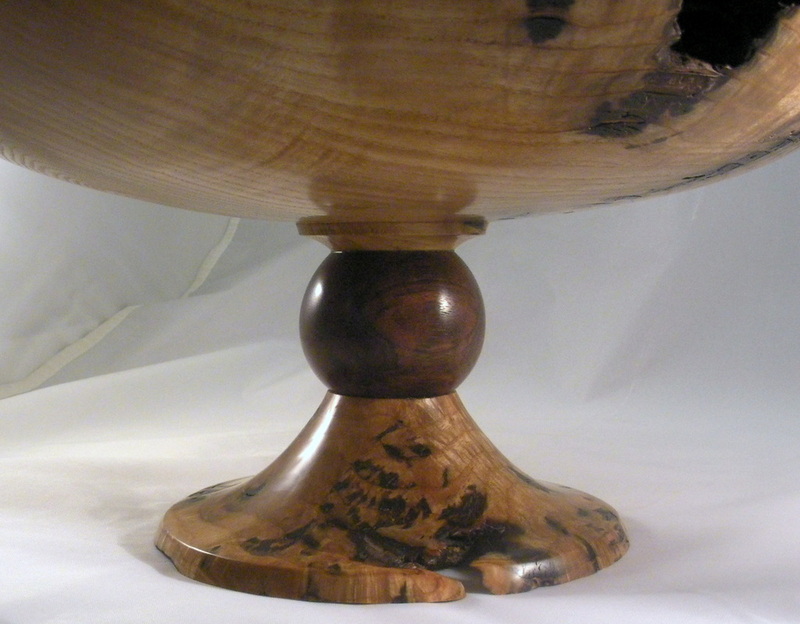 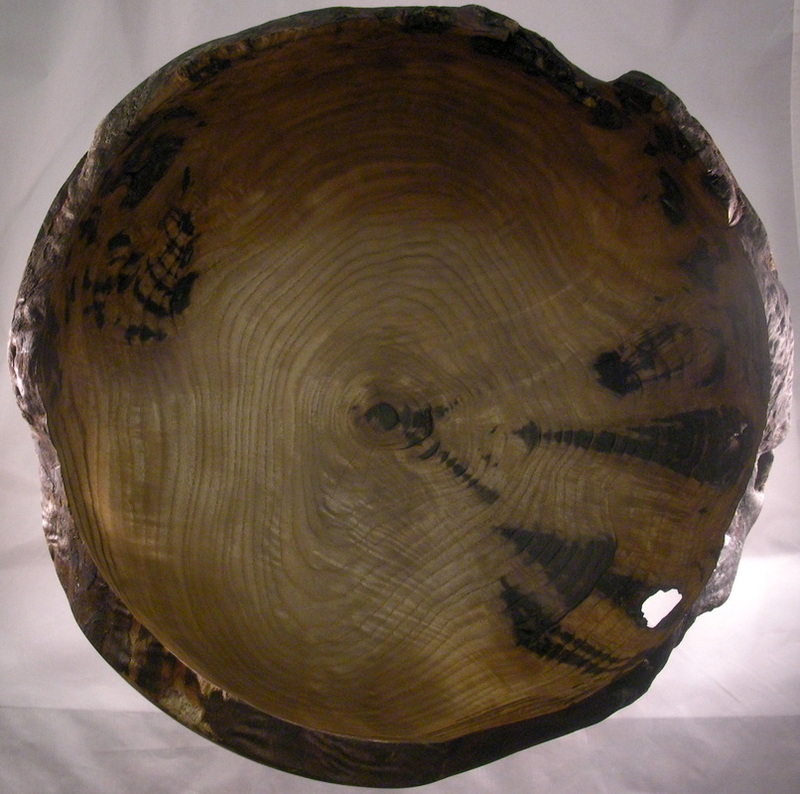 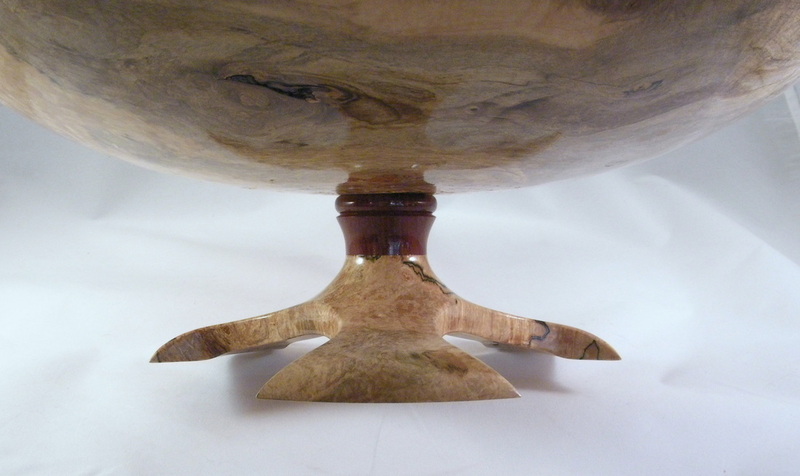 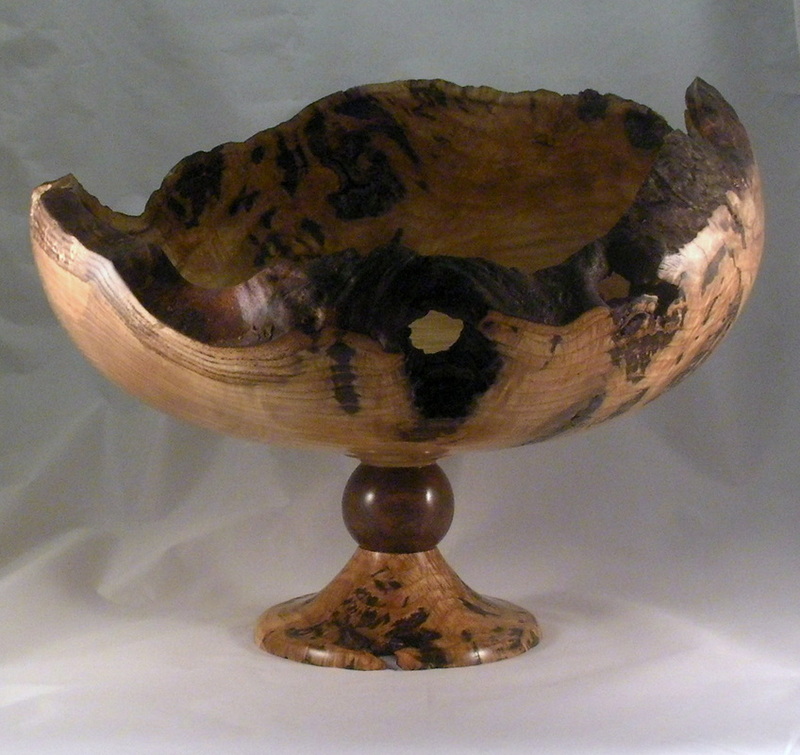 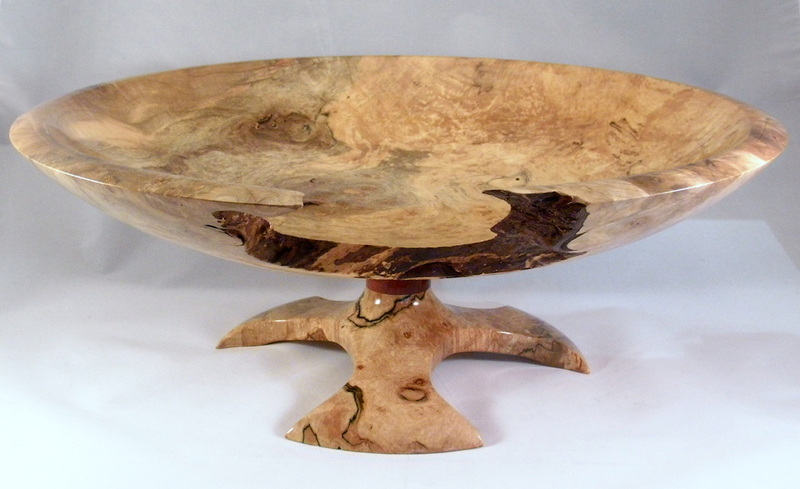 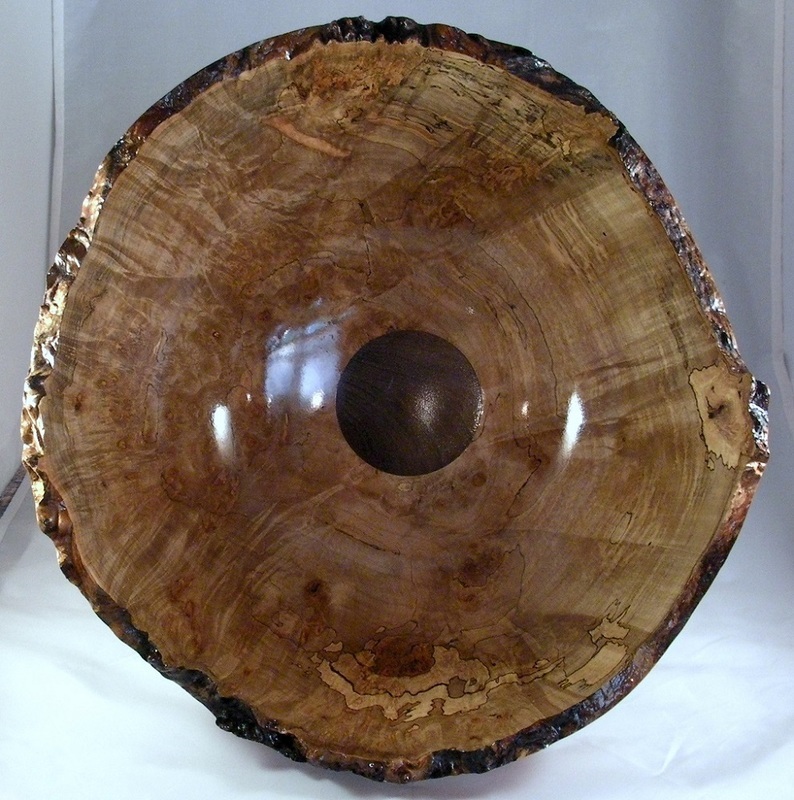 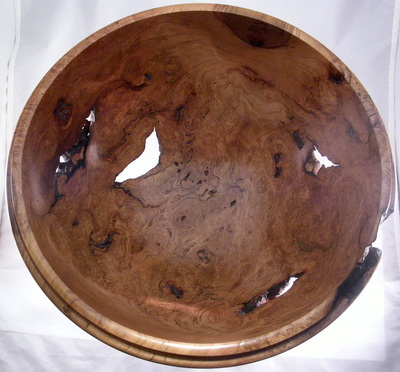 Cherry Burl Pedestal Bowl with Bead Along Rim and Wenge Bead measuring 15" wide x 11 1/2 tall. 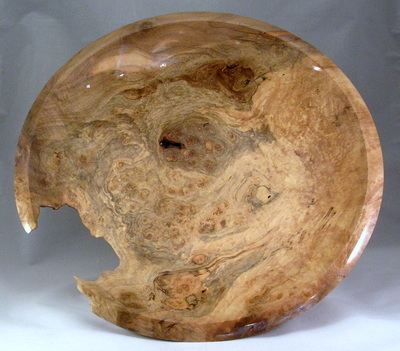 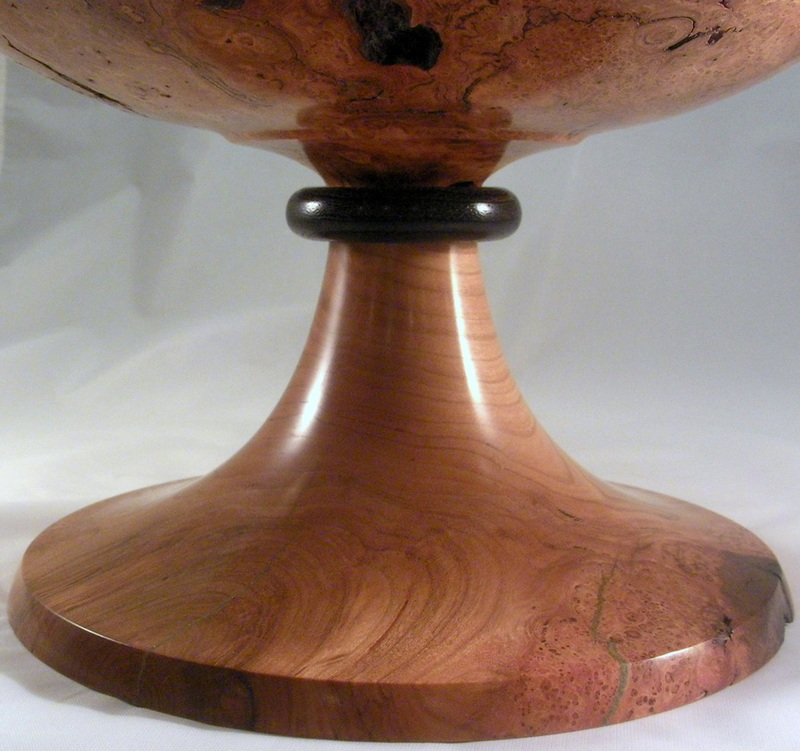 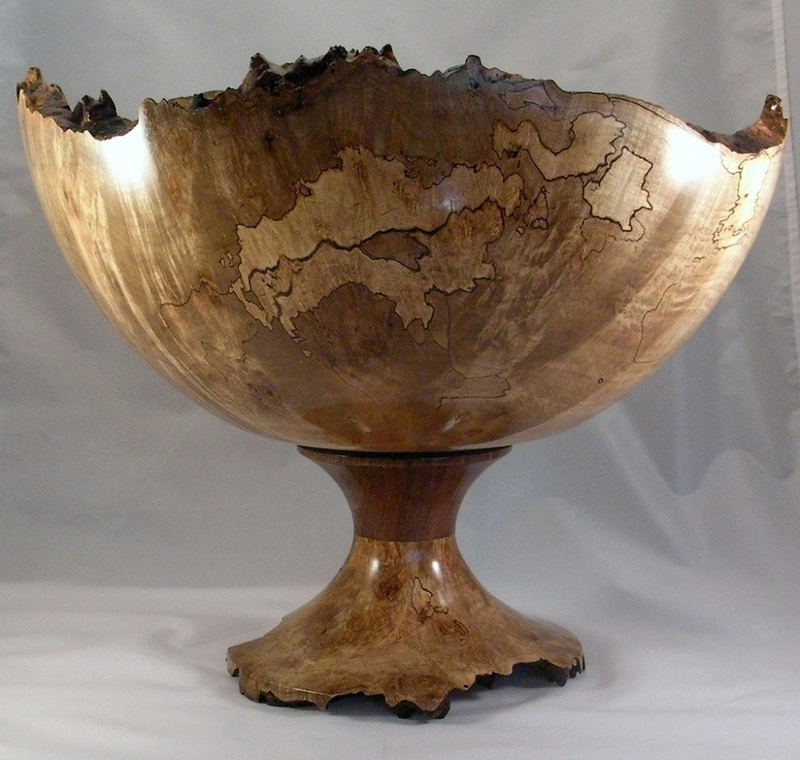 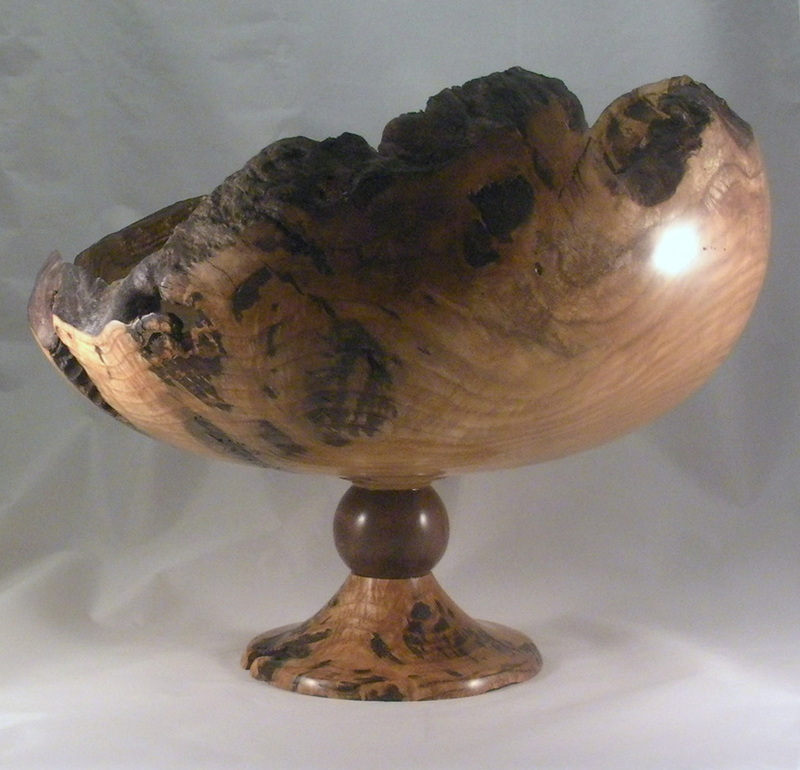 Sassafras Burl Pedestal Bowl with Walnut Ball measuring 15" wide x 12" tall. 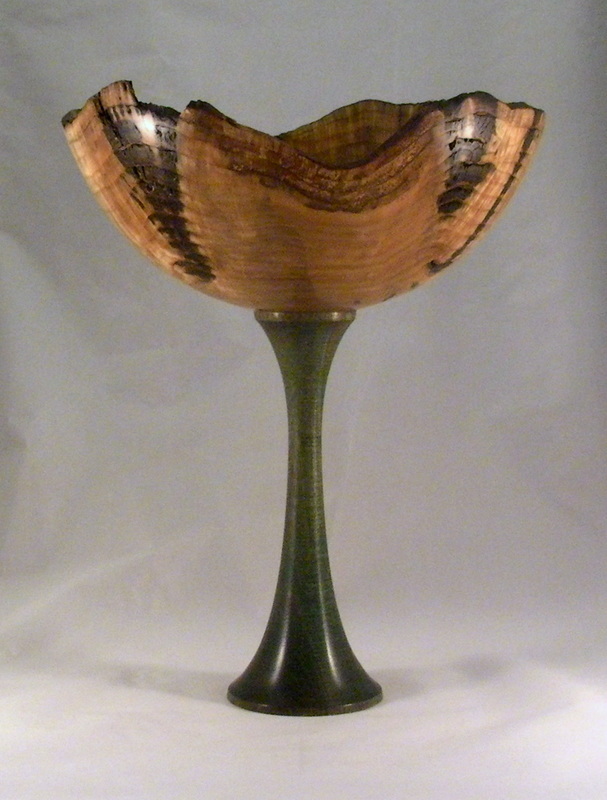 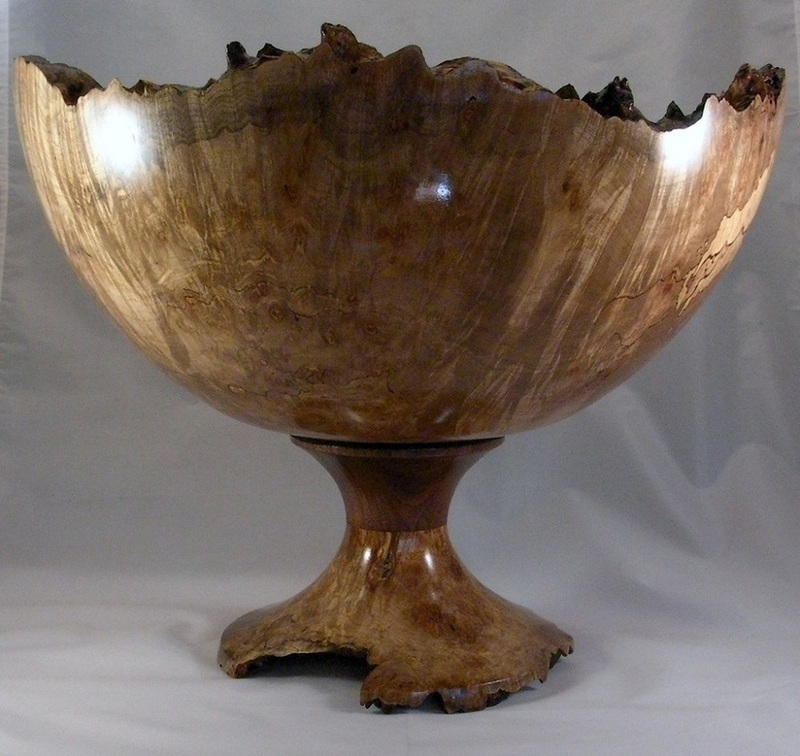 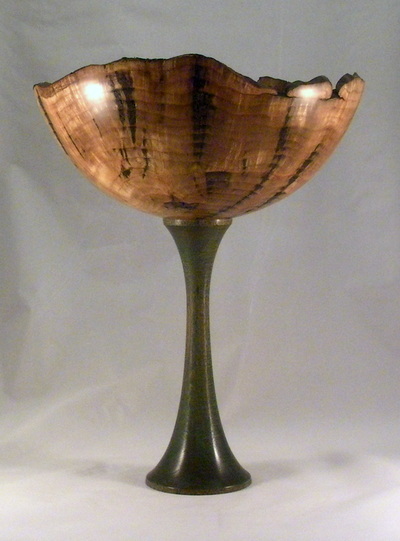 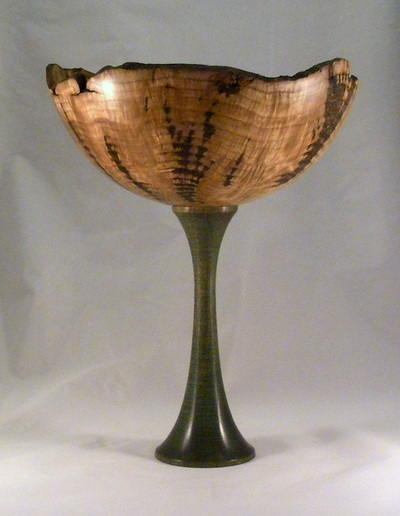 Sassafras Burl Pedestal Bowl with Dyed Green Mesquite Pedestal measuring 10" wide x 12 1/2" tall. Spalted Maple Burl Pedestal Bowl with Bloodwood accent measuring 14" wide x 5" tall.